KnowledgeHut has successfully helped several organizations adopt Agile and reap the benefits of agile transformations. Our training, coaching and consulting services are spearheaded by the best in the business who have spent years in the system and know what works and how to work it. Customize your workshops as per the needs of your organization and staff or follow our highly recommended course patterns that have guaranteed results. Either way, you are the winner! Contact us for more information on how you can get started on your transformation journey. One of the biggest challenges in an Agile transformation is sustaining lasting change so that you can extend the strategy across the organization. For this, every team member must thoroughly understand Agile and must closely follow the principles. KnowledgeHut's comprehensive suite of Agile Training Services offers bespoke Agile training workshops and implementation support across the various organizational levels. KnowledgeHut partners with you to outline a strategy to establish clear, defined and measurable parameters for your Agile implementation. 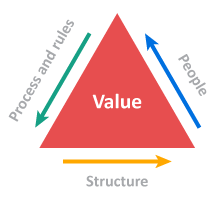 While there are many Agile related frameworks and methodologies available in the market place, success in implementation cannot be guaranteed.There are many instances of organisations which tried to implement Agile and are struggling without knowing why, as they did not put in enough thought and have proper guidance during the process. Impart training to help you understand the agile model: Every team member must understand the agile framework and gain the agile mindset in order for the implementation to move forward. Coaching the teams: Our experienced Agile coaches will work closely with the teams to coach and mentor them on a day-to-day basis.